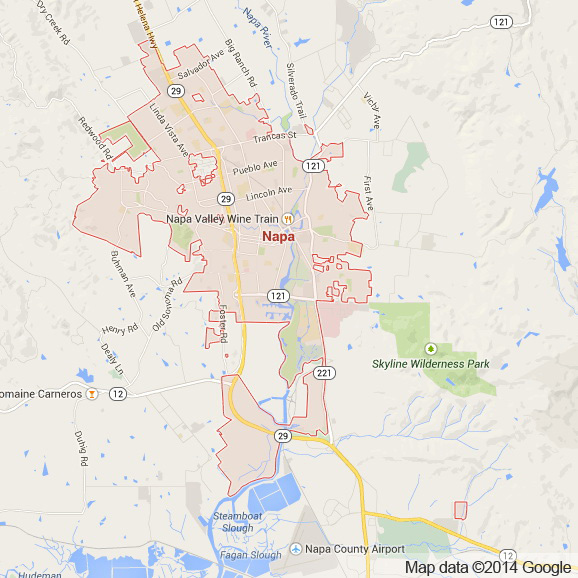 Napa, California is the epicenter of the Napa Valley. This premier wine producing region of Northern California is world renowned for both the quality of it’s wines the beautiful lush landscape in which they are produced. This incredible region surrounds the actual city of Napa. With a population just under 77,000 people this mid range city is as interesting and worth exploring as the world famous wineries that bear it’s name. With so many people from around the world flocking to the Napa Valley to taste world class wines up close and personal, attractions have sprouted up throughout the city. A number of delicious restaurants sprinkled throughout the city display the exquisite, unique and fresh cuisine of Northern California. These same restaurants and wine bars (and there is a long list to choose from) provide patrons with the incredible world famous wines that the surrounding wineries proudly produce. There is also a number of resorts and spas to choose from. The Napa Valley Marriott Hotel and Spa as well as the Meritage Resort and Spa are two of the many destinations within Napa to choose from. At Apex Limousine Transportation we are the entire Bay Area’s number one go to provider for Napa Valley Winery Tours. Our knowledgeable staff help customize exciting limo and sedan trips from anywhere in the Bay Area. For those residents of Napa who want to explore surrounding wineries in luxury and not have to worry about the hassles of driving, Apex Limousine Transportation is for you. We ensure that on your trip you will visit the best wineries that the Napa Valley has to offer. If you are a resident of Napa and are interested in an evening limo adventure in San Francisco, Apex transportation can definitely help. We offer trips to San Francisco where one of our professional limo drivers takes you to the best bars, restaurants and other attractions custom designed to meet your specific desires. With all of the cultural and entertainment attractions and destinations San Francisco has to offer there is no shortage of good times. Our limousine drivers with their commitment to both safety and luxury always provide the best setting for an incredible time. If you reside in Napa and need a pick up or drop off to one of the major Bay Area airports Apex can also help. We provide timely and prompt sedan and SUV pick ups and drop offs to SJC, OAK and SFO. Comprehensive wedding day, junior prom and senior ball limo services are also available. The next time you need luxurious limousine transportation services Apex will be there. Our unique combination of professionalism and punctuality make Apex the go to service for residents and visitors of Napa alike. So please give us a call and we guarantee you wont be disappointed. Please call us for car service all inclusive total for Napa to/from Napa Valley transfer.